I really love my blog. And I really love blogging. It’s just so rewarding to browse through the different pages of my blog and reading through the different recipes I’ve posted in the last 7 months. It makes me feel like I’ve actually did something with my life! Not that I didn’t do anything with my life before this blog came into existence, but now I can look back on all of the things I’ve done, bake-wise. It’s almost like keeping a journal, or something. However, as much as I love to read my blog myself, I would really like other people to read my blog. 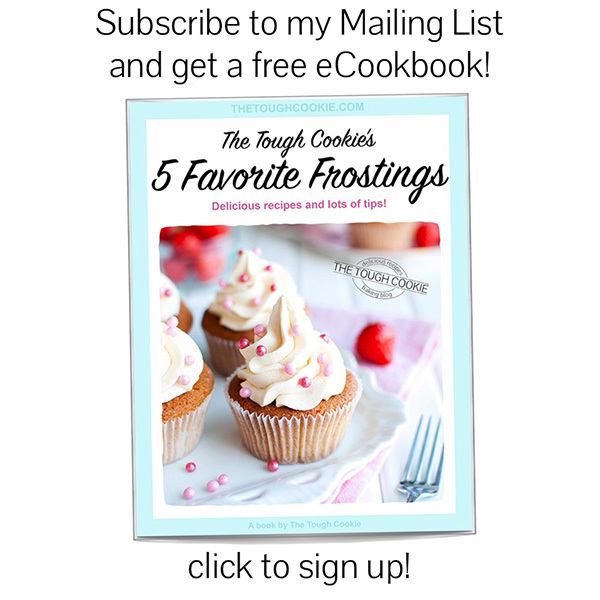 Sure, I already have some trusty readers – such as my mom and mother-in-law – and I just love how supportive they have been, but the idea behind this blog was sharing my recipes with other people. People I can’t just present with a handwritten recipe or bake a cake for. And since the only ‘other people’ who have so far managed to find my humble blog on the World Wide Web are spammers, I figured it was about time I’d introduce myself to the ‘neighborhood’. To let my fellow food bloggers know I’m out here. 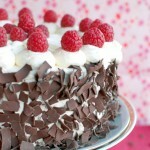 And what best way to do that than with cake? So I came up with a little campaign to hopefully make myself some blog-friends! I call it ‘Making Friends’. Clever, right? Anyway, every other Sunday, starting today, I will post a recipe for a food blogger I really admire. Each time, I’ll try to come up with something personal. Something I know he or she would love to eat. Or some technique I think her or she would love to know about. First up is Lindsay, from Pinch of Yum. 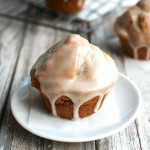 In my last post – on Cinnamon Sugar Zucchini Coffee Cake – I already told you a thing or two about her, like the fact that she runs her blog with her husband, Bjork. But the thing I didn’t want to tell you until now, is that Lindsay and her husband Bjork actually encouraged me to take the plunge and start a food blog of my own! You see, I had been playing with the idea of starting a food blog for a while, when I came upon Lindsay’s post (at least, I think it was Lindsay who wrote that one) on how someone with no exceptional computer skills or knowledge of web building can get a blog up and running. I followed her step-by-step instructions and… Tadaa! The result is now 7 months old, featuring almost 50 recipes! However, I never followed her last step to starting a food blog. Step 3b: ‘let me know’. Well, I’m going to let her know now! And I’m not just sending her a thanks-for-your-help-tweet, I’m sending her a recipe I hope she’ll love! Nice to meet you! I heard (aka: read) that you love salted, dark chocolate, so I came up with this recipe for you. I was inspired by your recipe for Salted Double Chocolate Muffins, but thought that I could make them just a little bit more indulgent and chocolatey. And salty! I know Bjork doesn’t like dark chocolate, but like you said yourself: “he’s missing out”… I just couldn’t make you anything that didn’t have salted dark chocolate in it. I hope you give these a go sometime! To make these, you start with the salted ganache filling. To a saucepan, add whipping cream, sugar and sea salt. I think the ganache was perfect with the amount of salt I put in there (½ teaspoon), but you could always add salt to taste, or leave it out entirely, if you’re not into salted chocolate. If you’ve never had it, you should really try it, though… It’s ridiculously delicious! It’s a bit like adding salt to caramel. The salt mellows out the sweetness of the chocolate, adding depth to its flavor and complementing its richness without being overpowering. Gently heat the mixture, stirring to dissolve the sugar and salt. Then crank up the heat and scald the cream. In a heatproof bowl, have some chopped chocolate ready. Make sure it’s good chocolate! 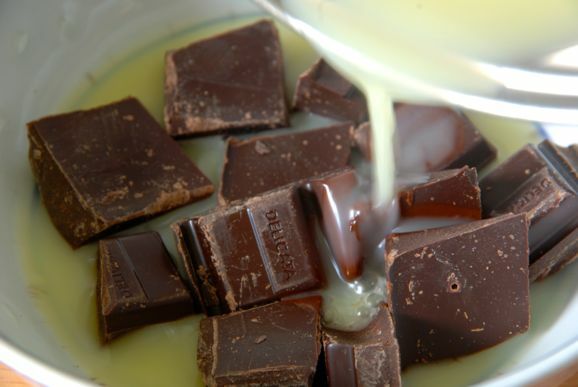 … then push the chocolate down into the cream and leave the mixture to sit on the countertop for a few minutes. Next, stir it to a smooth, shiny ganache. Looks pretty, right? Tastes amazing too! The Rocking Rebel loved it!! Once the ganache is made, place it in the freezer to harden and chill. In the meantime, proceed with the muffin batter. 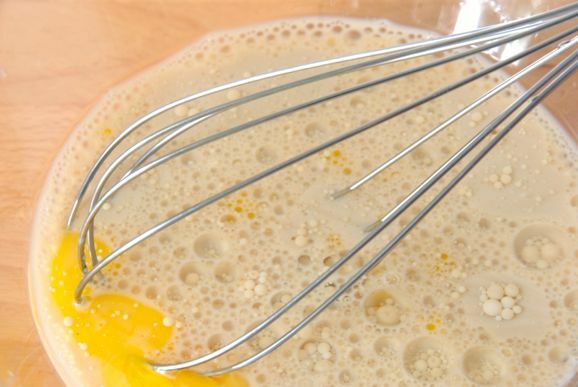 First, whisk together the wet ingredients: milk, oil, coffee, vanilla extract or paste and an egg. Using a fork, stir together the dry ingredients in another bowl: flour, sugar, cocoa powder, salt, baking powder and baking soda. 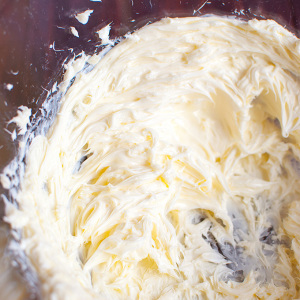 Then whisk the dry ingredients into the wet ingredients, until the batter is smooth and perfect. 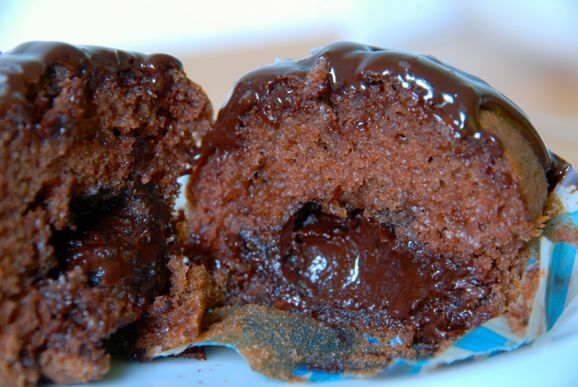 Now is when you put the ‘double’ in the ‘Double Chocolate Muffins’: add chocolate chips or chunks to the batter. I used extra large, dark chocolate chunks and I have to say they worked brilliantly. However, if you don’t have them lying around, you could leave them out. The salted chocolate heart gives the muffins such an extreme chocolate kick, that they hardly need any additional chocolate. 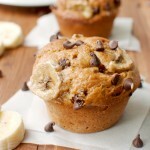 But chocoholics will definitely love this muffin with all its chocolatey-ness! Anyway, once the chunks are whisked in, spoon the batter into 8 muffin cups, filling each cup about half full. Next, grab the hardened ganache out of the freezer, scrape about ½ tablespoon’s worth of ganache out of the bowl and quickly roll it into a ball with your hands. 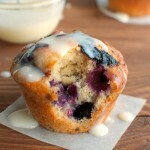 Toss it in some flour and place it in the middle of a filled muffin cup. 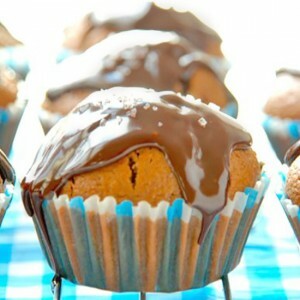 The flour will prevent the ganache from sinking, while the fact that the ganache is frozen will keep it from melting into the batter before the muffins bake. … then spoon the remaining muffin batter on top of the ganache balls, covering them. Bake the muffins for about 20 minutes, or until springy and delicious. Drizzle on some unsalted chocolate ganache and sprinkle a few flakes of sea salt on each of them. 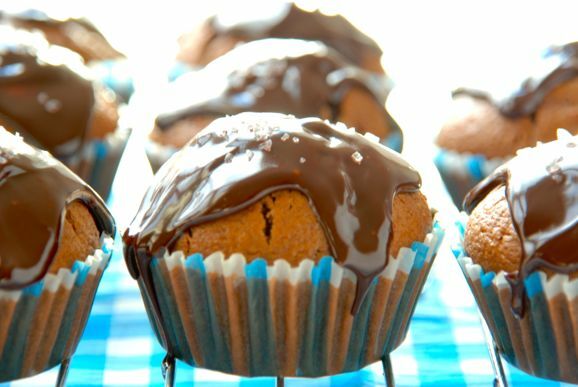 Serve these muffins slightly warm from the oven, so that the salted chocolate filling will ooze out when you sink your teeth into them! 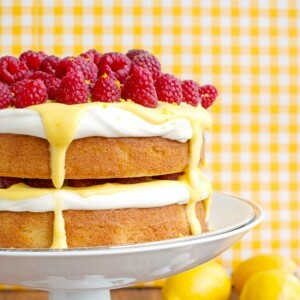 Oh, and don’t forget to serve it with a big cup of tea, ’cause these will make you thirsty! Hope Lindsay loves ‘m too! Start with the ganache filling. 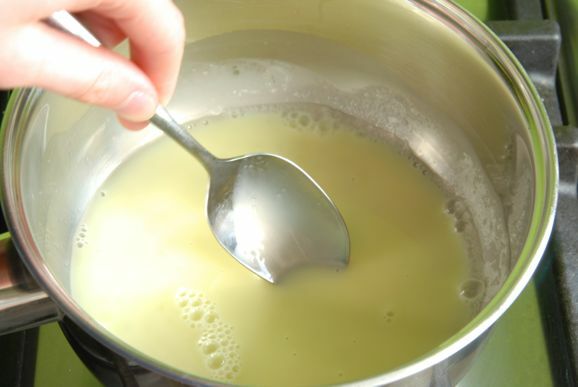 In a small saucepan, combine the cream, sugar and salt. Heat over low heat, stirring until the sugar and salt have dissolved. Crank up the heat and scald the cream. 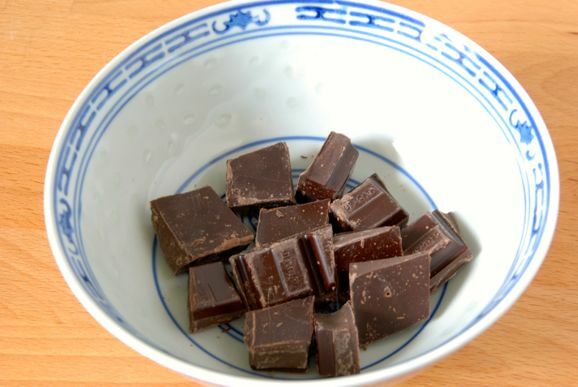 To a heatproof bowl, add the chopped dark chocolate. 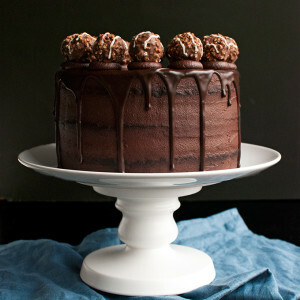 Pour the scalded cream on top of the chocolate and leave to sit on the countertop undisturbed for a couple of minutes. Then stir to a smooth and shiny ganache. Chill the ganache in the freezer until hard and cold. 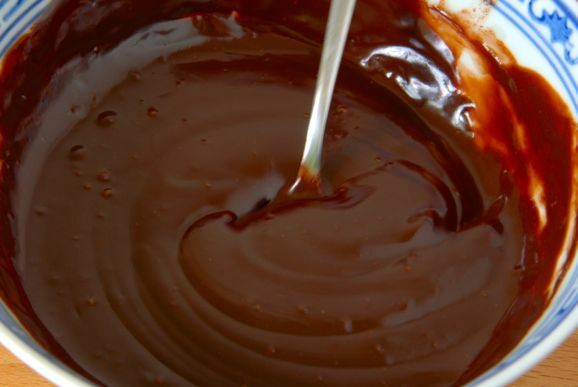 NOTE: if the chocolate doesn't completely melt, place the bowl in a bigger bowl with hot water or warm the ganache in the bowl of a double boiler, until all of the chocolate has melted. Preheat the oven to 200°C or 400°F (standard oven setting) and line a muffin tin with 8 muffin cups. 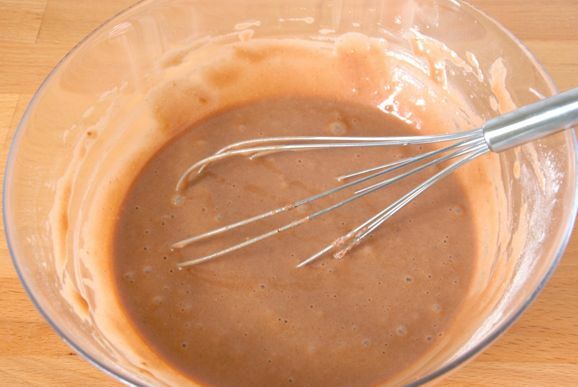 Once the ganache has hardened, start with the muffin batter. 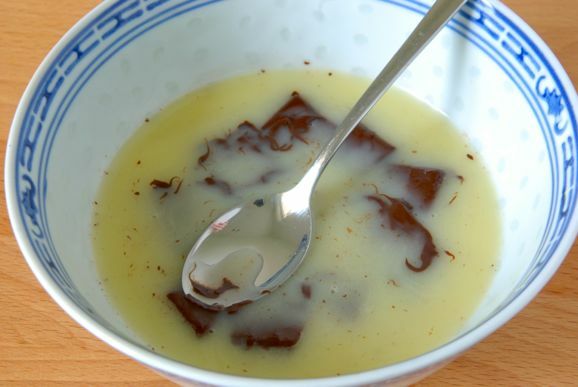 In a medium-sized bowl, whisk together the milk, coffee, oil, egg and vanilla. 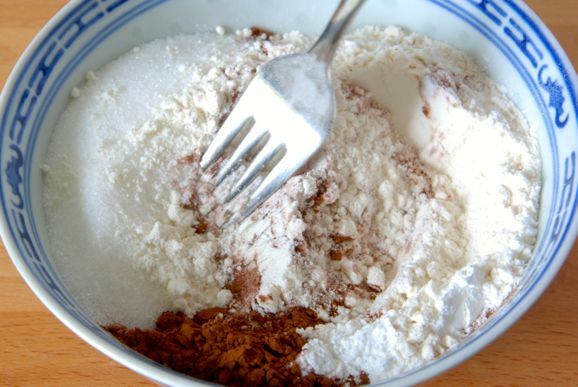 In another bowl, stir together the flour, sugar, cocoa powder, baking powder, baking soda and salt. 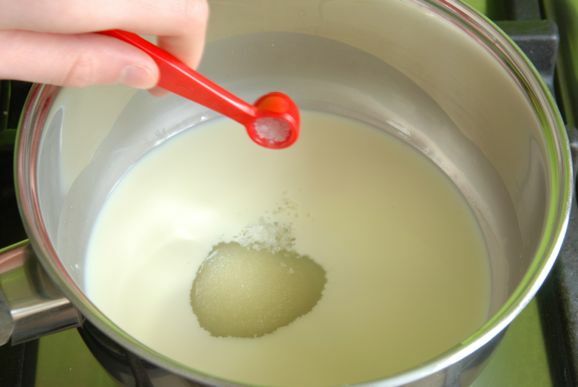 Add the dry ingredients to the wet ingredients and whisk to a smooth batter. 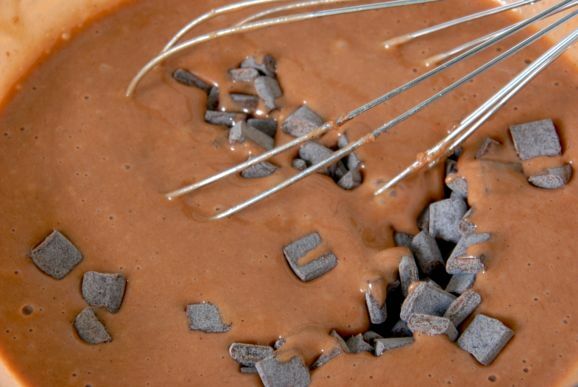 Whisk in the chocolate chunks. 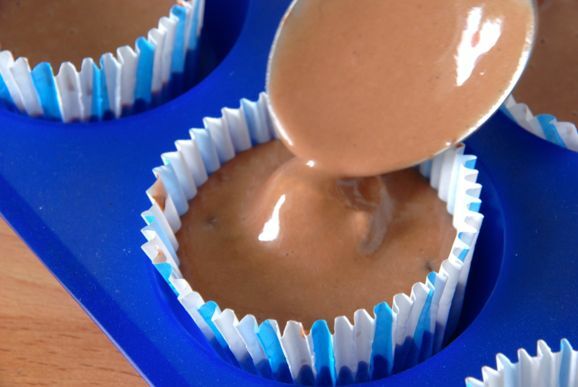 Spoon the batter into the muffin cups, filling each cup half full. To a small bowl, add the 2 extra tablespoons of flour. Take the hardened ganache out of the freezer and, using a spoon, scrape out about ½ a tablespoon's worth of ganache. Quickly roll it into a ball with your hands and toss it in the flour. 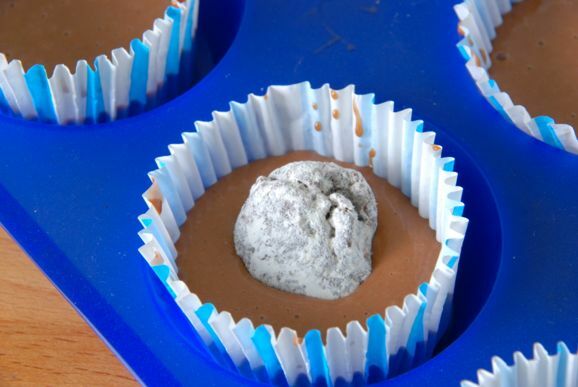 Then add the ganache ball to one of the muffin cups. Make 7 more ganache balls, one for each remaining muffin cup. Spoon the remaining muffin batter on top of the ganache balls, covering it, and bake the muffins for 20 minutes, or until a tester inserted into the side of the muffins comes out clean. For the ganache topping, scald the cream and sugar and pour it over the chopped, dark chocolate. Stir to a smooth ganache. Drizzle the hot, unsalted ganache over the muffins and sprinkle some sea salt flakes on top. Serve warm with a big cup of tea! Loving the idea of ganache inside and outside, and how its texture could change depending on the temperature of the muffin.